Sell Your Diamonds - We Pay More - For All Diamonds. SELL US YOUR UNWANTED DIAMONDS, MOST SIZES, SHAPES OR CONDITIONS. To get an exact price for your specific item please click to "GET A QUOTE" from us first. Then please bring or send the item to us. AGS Diamonds, Large Diamonds, Big Diamonds. My company is 100% claim free with the Better Business Bureau. (Above link not active? Cut and paste the link into the address window of your browser). Please fill out a quote form prior to sending items so you can be assured we will purchase your item. To send your item(s) for purchase by us, please mail by Registered Insured Mail at the US POST OFFICE. International and USA customers can also send by any insured method. Some carriers limit the value of insurance they offer on valuables so confirm coverage for your specific items. Tell the clerk you would like to buy insurance and declare the amount you feel the item(s) is/are worth. DirectDiamonds is one of the most trusted diamond buyers in the United States for people like you that are looking to sell your genuine Diamonds. Our diamond evaluators are experts at determining the most current, up to date market valuations. We pay the top market price for your diamond jewelry. Whether you're selling popular diamonds certified by GIA, EGL or AGS you can be sure that you will receive the highest Diamond prices. We offer free purchase appraisals with just a few pieces of information collected through our quote form. Just fill out the quote form and we'll give you an estimate on the spot. This gives you an idea of how much your diamond is really worth. The more information you enter the more accurate our appraisal of your diamond jewelry will be. It would be very much appreciated if you also included a picture of the jewelry. At DirectDiamonds, We understand that there may be some fears involved in sending a valuable object in to someone you've never met. We have been in the diamond buying business for over 4 decades and have an A+ Better Business Bureau rating with no complaints as well as an unprecedented 100+ Trustlink 5-star user reviews. If you have any questions or are hesitant at all about sending a diamond to us please give us a call and we'll do anything we can to give you peace of mind. If you found this page by searching "the best diamond buyers" or "diamond buyers" or even "buy diamonds" please give us a call and we'd be glad to help. Your best option when you wish to sell a diamond is to fill out our simple quote form. When you fill out the form online it will be IMMEDIATELY sent to one of our evaluators, he will do a little research on your diamonds and email you with an estimate for your diamonds. Once you've received an estimate from us, you can follow the instructions in the email in order to make your diamonds available for us to purchase. If you choose to send us your diamond, you can track your fully insured diamond with USPS as it is shipped to us and when we receive it we will give you a call with our exact purchase price. If you still agree with the price we will send you an instant bank wire transfer or overnight you a check for that amount, if you don't agree with our appraisal we will immediately send your diamond back. We pay promptly - payment is made by choice of bank wire or overnight check, immediate upon your agreement to sell to us. No need to call! Click here to receive an estimate on your Diamond jewelry. DirectDiamonds allows you to sell at market prices. There are many type of people looking to sell diamonds, whether you're a knowledgeable Diamond purchaser or have inherited or gifted your diamond, you have arrived at the best place to sell diamonds. As one of the Nation's leading online purchaser of pre-owned diamonds, we get many inquiries each day from people who are looking to "sell a diamond", "sell my diamond", "sell a large diamond", or even "how to sell my diamond". Most people looking to sell diamond jewelry just want to know "what is it worth?" and what is a fair price they can get for it. So if you too, are asking yourself, "where can I sell my diamond jewelry for the best price? ", then fill out the DirectDiamonds free quote form, if you have any non valuation questions you could always call toll free at 800-551-1554. We make selling diamond pieces easy and convenient while still paying you the full market value for your jewelry. Trust: A+ Rating from the Better Business Bureau, money is wired same day. Integrity: DirectDiamonds is the only dealer with over 100 5-star Trustlink user reviews in partnership with the BBB. Value: DirectDiamonds works to facilitate an efficient marketplace for sellers to get the best offer. 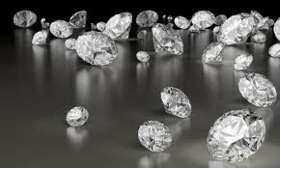 DirectDiamonds specializes in buying diamonds, so you can rest assured that you will be selling at top market value. So whether you are searching to sell a GIA Certified diamond, or to sell a Tiffany Diamond ring, we are confident you will find our evaluation the best in the business. Retail stores sell thousands of new jewelry pieces every year, and here at DirectDiamonds we understand that many of these owners either do not like their jewelry anymore, or could use the money that their diamond jewelry is worth. Our goal is to make the process of selling easy, quick, and safe. We buy jewelry every day from all over the world. Whatever your reason is to sell, DirectDiamonds is the place for you if you are looking to sell for the best price and great convenience. We buy all types of diamonds from GIA certified diamond rings, to diamond jewelry to loose diamonds, DirectDiamonds buys them all. Our diamond experts will evaluate your jewelry for what it is really worth, factoring market demand and availability as well as the condition of the jewelry and any repairs that need to be made. In this way we will give the fairest price possible to sell diamonds. 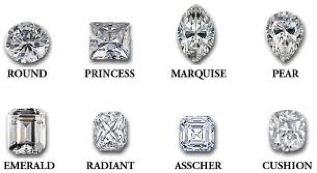 At DirectDiamonds we truly love diamonds and have for over 30 years. Our goal is to be the main source for sellers of unwanted diamond jewelry and people who no longer need their jewelry. So if you are searching to sell your diamond, especially if you are looking to sell your large diamond, deal direct with DirectDiamonds for the best value while selling. The most common question we get at DirectDiamonds, "How do I sell you my diamond jewelry?" or "What is the process of selling my diamond to you?" Step 1: Fill out the free online evaluation quote form. Step 2: An evaluator sends you an email back with shipping instruction and what we will pay based on your information. Step 3: We complete the evaluation process and upon your agreement, process the payment. Unlike consumable products, diamonds as they say "last forever". Used diamond jewelry has no set expiration period. Although diamond jewelry is a fashion accessory much like designer clothing or sunglasses, they have the ability to retain much more value. This offers our customers a unique opportunity to be able to cash in their unwanted diamonds for cash. Our customers are able to get all of the enjoyment out of wearing a Cartier diamond necklace or Tiffany diamond earrings and still be able to recoup some of their investment when they are no longer wanted. Sell your large diamond DirectDiamonds? Sell or Buy Used diamonds? The yearly global sales of diamonds is estimated at over 10 billion dollars, it should come as no surprise that there is a large market for pre-owned diamond jewelry and people looking for diamond buyers. This helps explain why people are often asking themselves where can I "sell my Diamonds". Additionally, retail jewelry stores are always promoting new fashion trends each year. That's why sometimes Round Brilliant Diamonds, Oval Diamonds, Marquise Diamonds, Pear Shaped Diamonds, Heart Shaped Diamonds are in style while Emerald Cut Diamonds, Princess Cut Diamonds, Trillion Diamonds, Radiant Cut Diamonds, Cushion Cut Diamond aren't in style and vice-versa. This new found demand leaves existing diamond jewelry customers asking "Where can I sell my diamond so I can purchase this new one. DirectDiamonds makes it simple and safe for sellers. 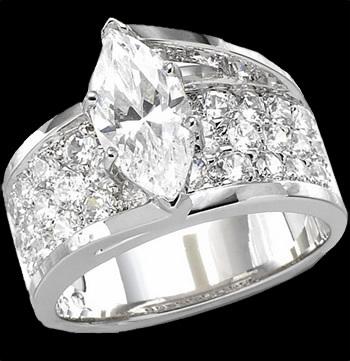 So if you are inquiring about selling a diamond and want the best price possible, choose DirectDiamonds. We make it easy and efficient to sell your diamonds for the highest market value in a totally transparent environment. Find the value of a diamond by simply submitting the form above. So if you found us by Google searching "sell diamond for cash" or "sell diamond fast" please fill out the simple quote form above for a free quote. We'd be more than happy to help you out, no matter your situation or question. You've decided, "I need to sell my diamond and want to get immediate cash." Sell diamond pieces to our experienced diamond buyers and you can be sure you get top dollar and immediate cash. When you are ready to sell a diamond contact us immediately. We make selling a diamond easy. We also buy other high end jewelry and watches and offer the best price for your item. You've asked yourself, "Is it worth it if I sell my diamond?" When you sell diamond items to our diamond buyers you can rest assured you got top dollar for your diamond. Sell a diamond to us and get immediate cash. Selling a diamond is easy with us.